Thousands remain without gas in Merrimack Valley, and some of them are taking matters into their own hands. Bridget Cook is getting her kitchen up and running in her home in Andover, Massachusetts, after the series of gas fires and explosions in Merrimack Valley. "I have the burner from Columbia Gas and I have multiple Crock-Pots and a toaster oven," said Cook. "Just trying to make the best of it." 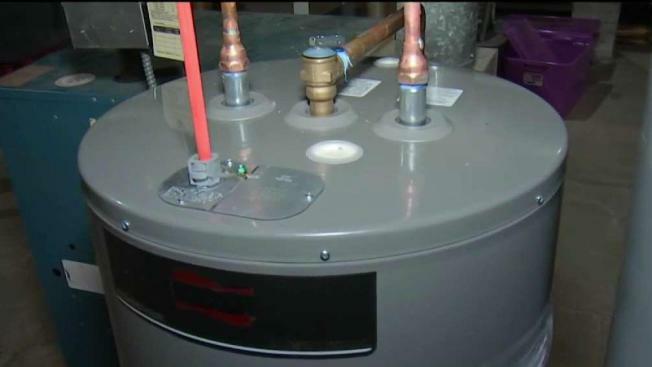 But she also wanted a warm shower, so she took the plunge and purchased an electric water heater, forking over some $1,900. "This felt like a simple, easy solution in the short term," said Cook. She's hoping she'll get the money back from Columbia Gas. "We've been told that they're supposed to," she said. Columbia Gas says it will reimburse residential customers for reasonable costs of permanently or temporarily switching to an alternative fuel source for appliances or systems that were fueled by natural gas prior to the outage. "I can't say my hopes are that high that it's going to happen anytime soon, but the alternative is taking cold showers or getting ready for work at the gym every day, and that just didn't seem reasonable," said Cook. The company is urging homeowners to file a claim first before going ahead with expensive purchases. Assessment teams will also start visiting homes on Wednesday to help determine which appliances need to be replaced. If residents don't want to wait for claim approval, or for the visit from the assessment team, the company recommends people use licensed contractors and document all receipts.